You are currently browsing the tag archive for the ‘bathing ghat’ tag. We left our Delhi home with full bellies (we had this divine hot chocolate pudding/lava cake with vanilla ice cream for dessert, no joke) and headed to the train station for our first overnight train to Khajuraho. Right away we realized how refreshing it was to be outside the big city and in the country. Khajuraho is a tiny town that would never register on anyone’s radar if not for the temples. After checking in, we had a breakfast of coffee (thank god) and the chocolate cake tops Mala sent with us. Then we took to the streets with a plan to walk to the first group of temples. Along the way many drivers solicited us but it was a kid on a moped, who decided to walk with us/follow us/try to tour guide us for most of the morning. 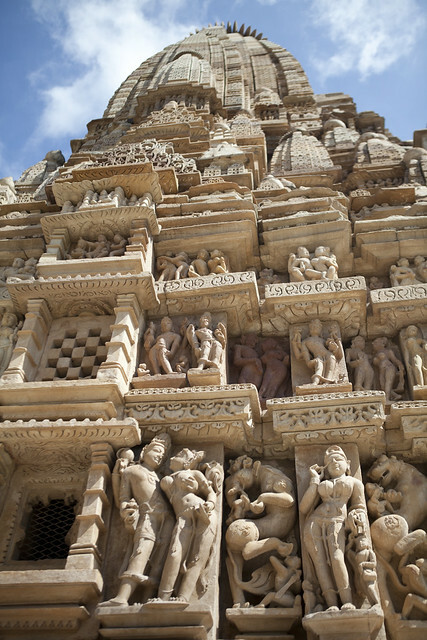 The temples in Khajuraho are striking more so for their exquisite detail than explicit sexual positions. The craftsmanship alone is worth marveling at. After several hours of temple gawking both in the morning and afternoon, we headed back for showers and food before catching the second of our overnight trains to Varanasi. In Varanasi, we paid extra for our guesthouse to send a driver to pick us up. We rationalized that after two back-to-back nights on the overnight train, it was best to avoid added aggravation of negotiating with auto rickshaw drivers the moment we arrived. The driver met us on the platform and took us to his car. The city was flooded and even though we were about 6km from the train station it took an hour to reach our guesthouse on the riverbank of the Ganges. Varanasi is said to be the place where Buddhism was born. But more evident is the significance the city has to the Hindu religion. Many devout Hindus make the pilgrimage there to bathe in the Ganges River. 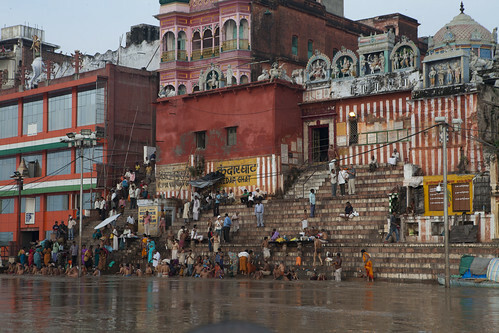 The old city is framed around ghats or steps leading down to the river where people can bathe. 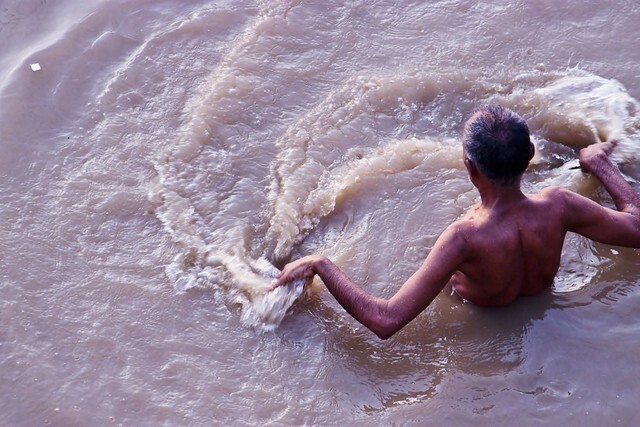 Hindus believe washing in the Ganges purifies oneself. 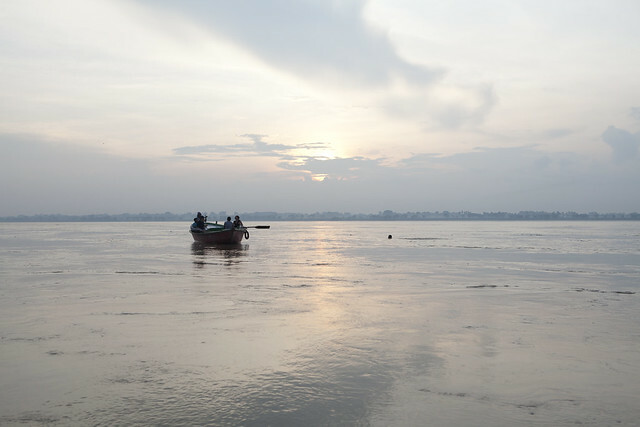 Over 60,000 people come down to the waters edge every day to take a dip in the sacred waters of the Ganges. Try not to think too much about the dozens of sewage pipes and sunken corpses in the waters around you and you’ll find it’s not nearly as bad as you expect once you’re actually in it. Although medically, bathing in water in which a corpse resides risks infection with numerous blood borne diseases (notably hepatitis) and many infections. Hindus also believe that dying in the Ganges will allow the soul to escape the cycle of reincarnation and establish a percent place in heaven. Consequently, in addition to the bathing ghats, there are also cremation ghats. But not all bodies, such as those of children, can be cremated so the corpses are sent into the water with riggings to weigh them down (hence the sunken corpses mentioned above). I’m pretty sure Jeremy Piven took a dunk in the Ganges for his Travel Channel special: Jeremy Piven’s Journey of a Lifetime. But I imagine he had a team of Purell Super Soakers ready to go when he got out. Needless to say, Nellu and I didn’t try it out. Not even a pinkie touched Ganges water. Varanasi is one of the most iconic cities in India and the subject of some of the most striking pictures of the country. But it’s certainly not the place for squeamish travelers. The city may be chock full or yoga studios and mediation centers, but hordes of pilgrims and tourists cause congestion and attract aggressive touts. From Varanasi we went to Amritsar to see the Golden Temple, one of the most important places of worship in the Sikh religion. 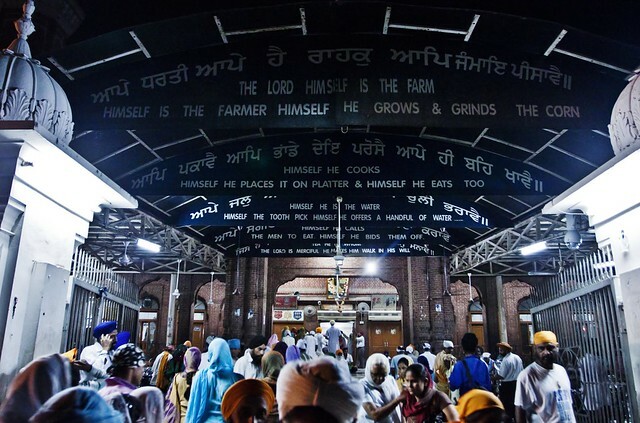 Our Delhi host family, the Bindras, were Sikhs and spoke highly of it and shared pictures. It was gorgeous in pictures so you know in real life it was only going to be that much more impressive. We took a 24-four train from Varanasi to Amritsar in a first-class compartment. We paid a little more for this privilege but of all the things we’ve spent money on in the last six months this one is really high up on the “worth-it list.” As a couple, Nellu and I were given one of the two-people first-class compartments. Yes, that’s right. We had it all to ourselves. We had a door that locked and they even gave us towels. This was by far the best of all our train rides to date. We slept, got caught up on some work, and even got some reading in. We watched the sunset over the Indian countryside in peace and quiet. It was heaven. Oh and on the way we met our new friend Hamilton. 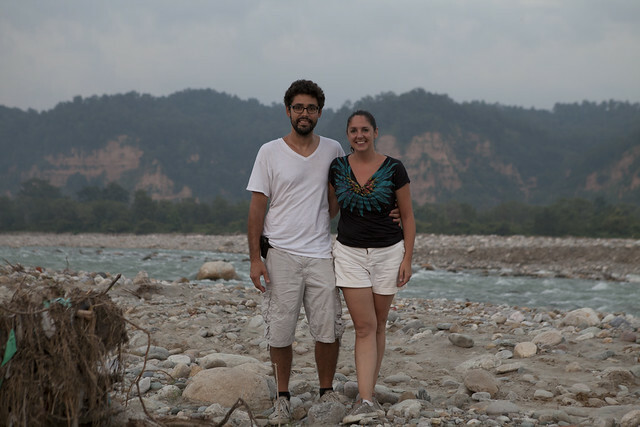 He’s a Canadian/American currently residing in Nepal. He’s a documentary filmmaker doing some pretty inspiring work. In fact, one of his films won the top prize at a festival in France and the People’s Pick: Hanuman Airlines: Fly Over Everest. Hamilton was going up to Amritsar to see the Golden Temple as well, and had planned to stay at the hostel in the Temple itself. At the Golden Temple, anyone can stay for free. They can also eat for free at the cafeteria in the Temple, which is fueled by donations and volunteers. When you walk by, you can hear clambering of the dishwashers churning through hundreds metal plates. Sikhism is a religion based on equality and Gurpreet Bindra liked to brag to us that at the Golden Temple cafeteria a rich man could be sitting next to a beggar and everyone would be treated the same. 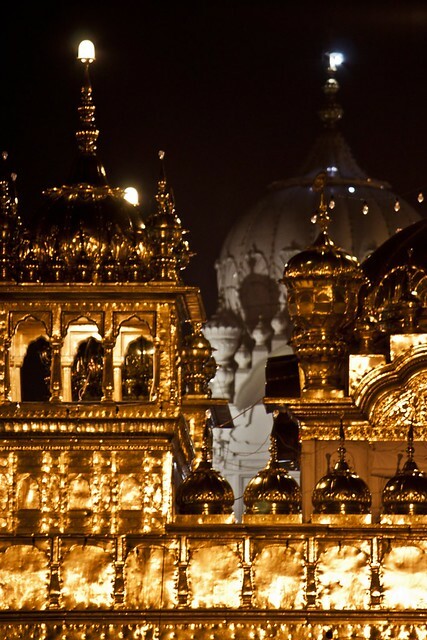 That philosophy is felt through the whole complex of the Golden Temple. The temple grounds really are exquisite. 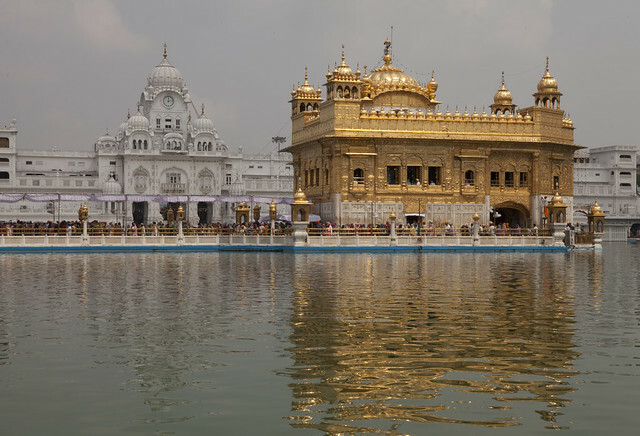 The Golden Temple sits at the center of the complex surrounded by a lake of holy water. This holy water, however, is leagues cleaner than the Ganges river. Devotees bathe in the water and drink it. It looked so nice on the hot September day that I wanted to take a swim but of course that would be disrespectful. We visited twice, both in the morning and then at night to get the full effect of its beauty. 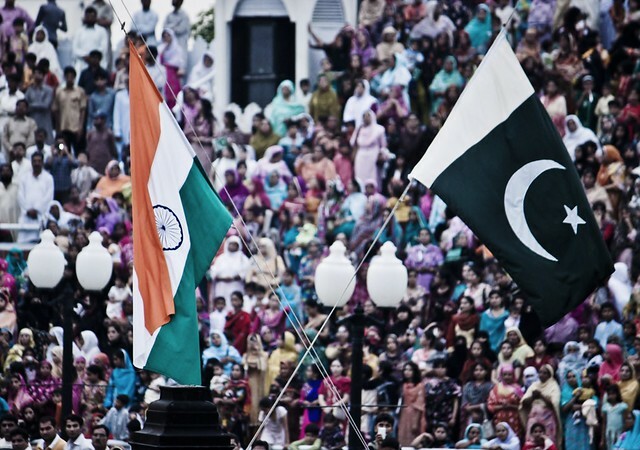 Just outside Amritsar in Wagah is another prominent attraction: the only road border crossing between India and Pakistan. We were so close, we had to go. There are two flag ceremonies at the border each day: one when the border opens and another when it closes. We made it there for the closing ceremony. It was quite the sight. Both countries have built stadium-style seating facing the border gate and people flock there to watch the spectacle on both sides. The ceremony is full of dancing, goose step walking, bugle horns, and dirty looks. There’s also an announcer that sounded like he kept shouting, “Gooooooooooaaaaaaaaaaaaaallllllllll,” but it was clearly something else. I am not taking sides or anything but India was having a dance party during the pre-ceremony and Pakistan barely budged. From Amritsar, we trained it back though Delhi to Ramnager on the outskirts of the tiger reserve at Corbett National Park. We went on two safaris, one jeep and one on elephant back. 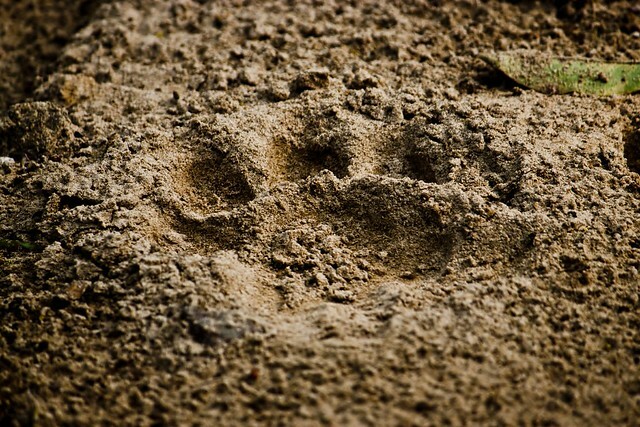 We didn’t see any tigers, but we did see paw prints. 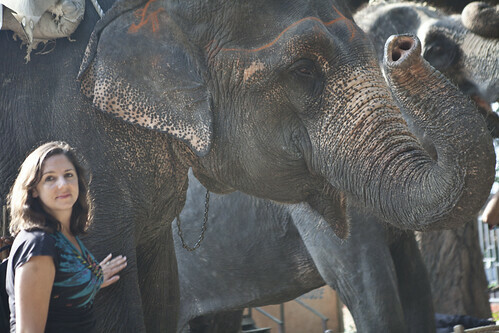 We also learned that not all elephant trainers are good ones like the one we met at the sanctuary in Bali. This trainer was pretty rough on our elephant using both a bamboo stick and the back of a metal rod. I felt ashamed that we had put the animal through this and we made it clear to our hostel that had booked the ride for us that this ruined the experience. We also swore that the next time we visit elephants, it will be in the wild. We felt awful the trainer was rough on our elephant. Our advice: stick to the elephant sanctuaries or just see them in the wild. The highlight of our trip to Corbett Park was an accidental meeting of the owners of the Forest Haat, Dheeraj and Amrita Singh. The Forest Haat is a cafe/store in the heart of the park that just happened to be right next to our hostel and had the only working wifi in town. Two days in a row, Nellu and I had gone in search of internet and ended up talking with Dheeraj and Amrita for hours. It was great to share our experiences with the couple who made us feel very normal and gave us lots of great insight. Dheeraj quit the corporate world and found he could make a living following his passion as a wildlife photographer. (He has seen many tigers!) Amrita dreams of opening a small guesthouse at the foot of the Himalayas and if she does, we’ll be back. After a restful few days in Corbett Park, we got back on the train traveling once again through Delhi to Jaipur. 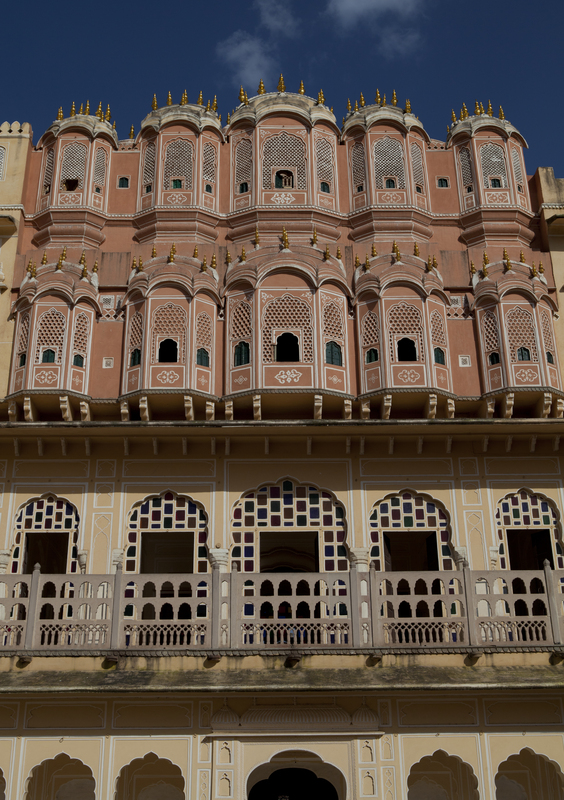 Jaipur is one of the cities that make up India’s Golden Triangle. 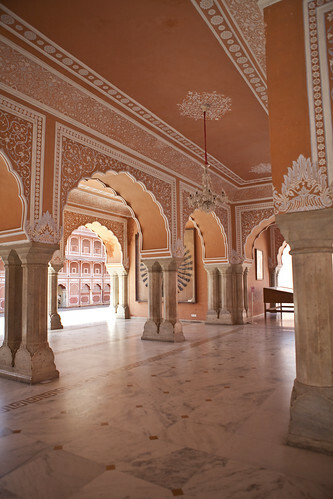 It’s known as the Pink City because in 1853 they painted the city pink to welcome the Prince of Wales and they kept it. 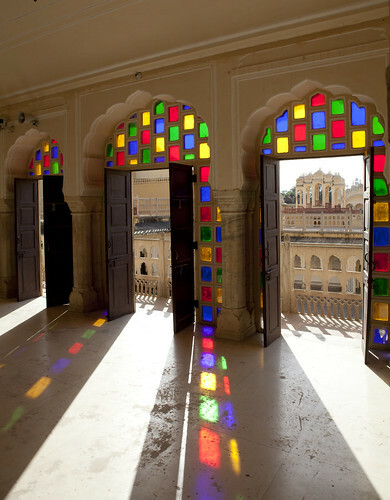 To me, the beauty of the buildings in Jaipur rival that of the Taj Mahal. After twelve days and five cities, we arrived back in Delhi in one piece and markedly less tired than we expected. We had two more days in India before flying to Thailand to do it all again.